This former football captain came to realize that his true passion lay in the gym, not on the gridiron. Don't just read his full fitness plan – use it! Bodybuilding began for me as it does for many, when I came to the realization that I enjoyed the thrill and passion I got from training and dieting more than the sports I was actually training for. All of a sudden I realized I was living as a bodybuilder and I didn't even know it. The next step was simply putting a name to it, bodybuilding, and that was it. At that point, it was easy for me to accept that this is what I was meant to do. I was influenced early by my mother who, as a single parent, managed to raise me while also becoming one of the best female marathon runners in the state of New York. As a result, she urged me to try just about every sport out there. By high school I was a captain in football and also competed in track, lacrosse and eventually rugby. For those four years my love was football and my dream was to play at a Division-I (FBS) school. It was not until my final year of high school that I discovered that my heart and passion truly lay in the sport of bodybuilding and that it had been there all along. To quote the great Ronnie Coleman: "As heavy as possible for as many reps as possible." The only HCG that matters: Heath, Cutler, and Grossman. Special thanks to our team sponsor Supplement Zone, 1728 Boston Rd, Springfield, MA. To me, sports were always about proving that I could be a champion and bodybuilding, I felt, gave me an outlet to do so. I have endured surgeries on both shoulders as well as the loss of nerve function in my left arm for a period of six months. Despite being told I may never be able to fully use that arm again, let alone compete in bodybuilding, my dreams pushed me forward and never let me give up. On June 11, 2011, I entered the NPC Mr. Rochester competition and won the heavyweight and overall title in the teenage division. This victory has further reinforced my self-confidence and belief that I have what is necessary of a champion in this sport. I am also a third-year student at Springfield College in Massachusetts studying exercise science and nutrition. I am truly blessed to be able to pursue a career in a field I have such a strong passion for and look forward to learning something new each day. I am motivated by those around me who encourage and support me to the fullest. I try to surround myself with positive, passionate and knowledgeable people who push me to be my best. Put quite simply: Because I love it. I enjoy what I do, so what looks like hard work is just me having fun. I plan to take a couple years off from competing to pack on the size necessary to be competitive in the open class. After making the necessary improvements over the next couple years, I will likely compete in the NPC Team Universe as a natural competitor. During this time I can also focus on getting my degree and helping others to achieve their goals in the sport. I am the president and founder of our school's bodybuilding club, Springfield College Bodybuilding Club, which was formed to bring a sense of teamwork and family back to the sport. I am moving to southern California this summer and will be training daily at Gold's Venice while completing an internship in the field of strength and conditioning. 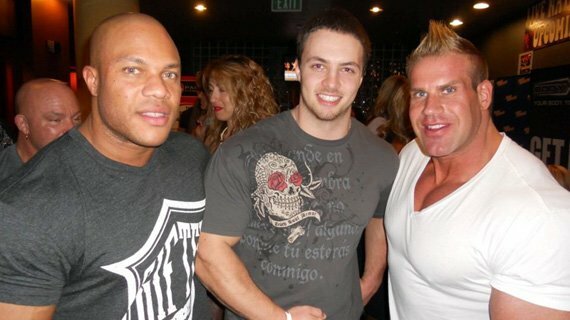 The best advice I can give to other bodybuilders is to surround yourself with the right people. I am lucky enough to live next to the best trainer in bodybuilding, Mr. George Farah who has been like an older brother to me since I decided to compete. In addition, my home gym in Rochester is owned by Jim Rockell, the head judge of the Mr. Olympia competition. 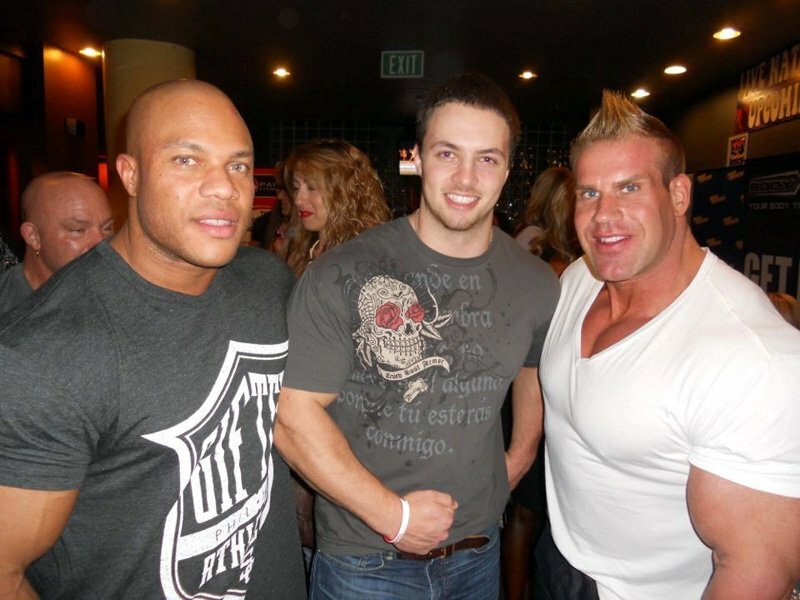 I also train with top strength and conditioning coaches and pro bodybuilders every day. Surrounding myself with these people has shown me that I can achieve my goals in this sport if I stay 100% dedicated, have the strength to persevere and truly work to bring out the best in myself each day, set and rep. I have also had the privilege to train with Pros such as Hidetada Yamagishi, Eric Dilauro, Will Harris, and Charles Glass in Venice Beach. My dream is to one day compete as a pro bodybuilder and start a business in the fitness and nutrition industry. I plan to get my degree in exercise science and truly give to this sport as it has given to me. Bodybuilding has taught me more life lessons than I ever could have expected. It has taught me how to set goals and how to reach them. It has taught me to how to deal with adversity and cherish sacrifice. Best of all, it has given me lifelong friends, a lifelong dream and a vision of how to better myself everyday. George Farah, Jonathan Hunt, Jay Cholewa, Kai Greene, Jay Cutler, Branch Warren, Ben Pakulski, Charles Glass, Hidetada Yamagishi, Eric Dilauro, Evan Centopani, Will Harris, Shawn Ray, and Layne Norton. My parents, especially my mother; my training partners, Wade "Daddy" Haras and Seth Caron; my girlfriend Sam; George Farah, Jon Hunt, Jay Cholewa, Kala Gause, my team, and all the friends, family and training partners who have gotten me to this point. Bodybuilding.com for its support of our team and teen/collegiate bodybuilding! Our club is one of the first of its kind. Each semester, we sponsor members to compete in bodybuilding shows, and to travel to various gyms, competitions and seminars across the U.S. This semester, you can see us at events such as the Arnold Classic in full team apparel. We train as a team in our school's state-of-the-art strength and conditioning facility under the guidance of highly-experienced coaches. Our team focuses on brotherhood and camaraderie to reach our goals collectively and as individuals. I hope to promote the ideals of our club to bodybuilders around the country and also give back through the promotion of a show on our campus and by supporting the creation of other collegiate bodybuilding clubs.